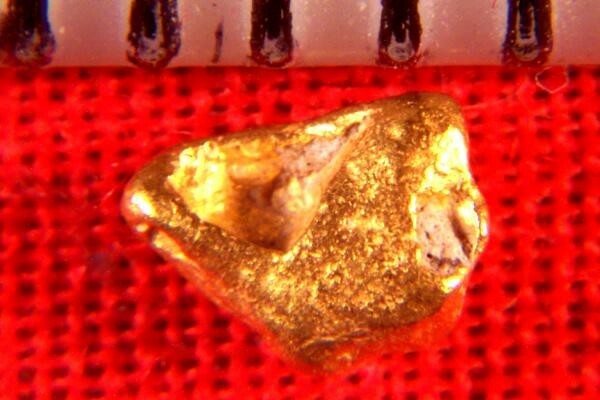 This is a very small gold crystal from Australia. This gold crystal has nice faceted sides with a well defined geometric shape. 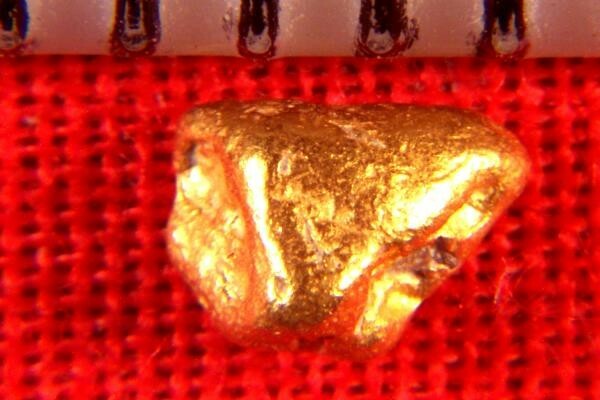 It is very unusual to see gold crystals come out of Australia. This small beauty is 3/16" (4 mm) long, weighs 3.8 Grains (0.25 Gram), and it should be mounted in a magnifying gem jar for best viewing of the amazing crystal structure. Add this very affordable rare gold crystal specimen to your collection.